Oscar Isaac got his uncle a part in 'Star Wars: The Force Awakens'. 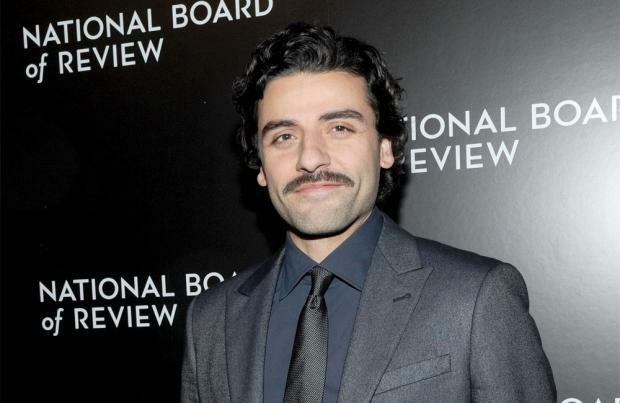 The 35-year-old actor plays character Poe Dameron in the highly anticipated sci-fi sequel and his uncle was thrilled when he found out his nephew was going to be in the movie because he is such a huge fan of the franchise. Guatemala-born Oscar's uncle was so excited he had T-shirts made emblazoned with the words "Estar Guars: Episode VII", and after the actor gave one to director J.J. Abrams, the filmmaker let his relative be an extra. Speaking to the April issue of Details magazine, Oscar said: "I gave them to everybody and told J.J. Abrams, who was like, 'Does he wanna be in the movie?' He's an extra in a scene with me. How amazing is that?" Oscar is still remaining tight-lipped on the plot of the 'Star Wars' film but he is willing to speak about the comparisons made between him and screen legend Al Pacino after his starring role in 2014's 'A Most Violent Year'. Discussing his pride at the Pacino comparisons, he said: "The fact that I would even be mentioned in the same breath as Pacino, and particularly his performances in 'The Godfather' and 'Dog Day Afternoon', is insane. I take it all with a grain of salt." 'Star Wars: The Force Awakens' is due for release in December and also stars returning actors Harrison Ford, Mark Hamill and Carrie Fisher, as well as new faces to the franchise John Boyega, Andy Serkis and Daisy Ridley.